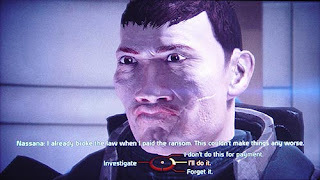 Tell me more about the Shepard. 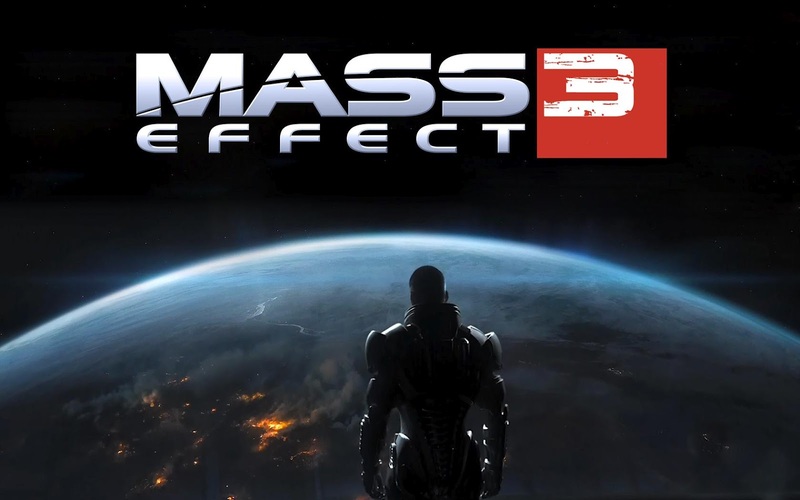 Mass Effect is an anomaly of a video game experience. It is a game that was planned as trilogy right from the start. It is a game that lets you make universe altering decisions which the repercussions may not show up till two games later. It is a game that you can morph to be your own... from the Gender and look of your version of Commander Shepard, to his back story, to the relationships you develop, even who he/she falls in love with. It is an epic space opera that you get to control. This trilogy is the greatest video game experience of our modern times. A little background on this game. 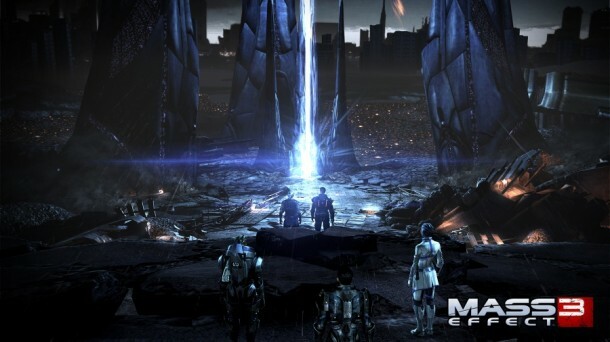 This game is about stopping a robotic race of aliens called the Reapers that show up about every 50,000 years and exterminate all sentient life that has gotten too advanced. They kinda keep things in check to make sure no race gets too powerful. That means all humans (and Asari, Krogan, Salarian, Turian, Rachni, etc.) must die. Well, the Reapers are simply way too powerful to defeat by conventional means and it will take most the galaxy working together to even have a fighting chance while they team together to create a super weapon that will hopefully kill them all somehow. 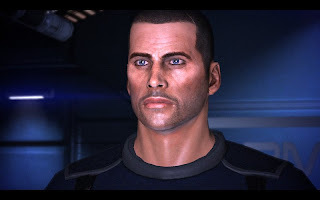 Enter Commander Shepard to try and make it happen. Despite the marketing of the game, you will probably spend more time talking with people and making morally ambiguous decisions than you will by shooting invading aliens or robots or brainwashed people. There are no-win situations in these games and you gotta make decisions that cause people to die. If you make the wrong ones, entire characters are removed from the overall plot. The other half the game involves killing bad guys. That is even customizable. There are different classes that have unique powers that allow you to fight completely different than the next guy... but I don't want to get into that. This game has been making gaming headlines for many reasons. One of which is the displeasure of the fans concerning the ending. I'll get to that later. What made me more upset was that upon launch of the game... I was not able to import my character from Mass Effect 2. You see, half the novelty and experience of this game is the universe that you help create over the course of the series. It is your version of the character and not somebody else's that doomed entire species to extinction or saved them based upon decisions in previous games. 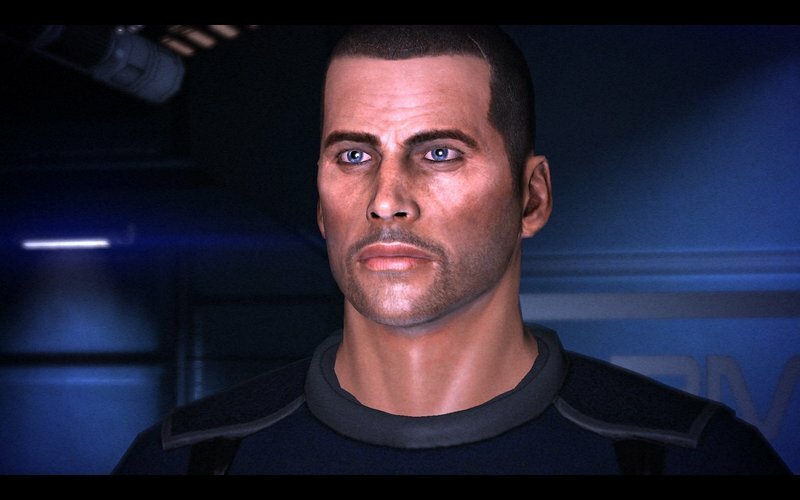 Seeing someone else's face model on my Shepard felt like a cheap replacement actor in a movie sequel. I couldn't bring myself to play the game until over a month after the original release date as I waited for the patch. This was a clumsy oversight on the testing teams which I partially assign blame to EA for trying to rush the product for a cash grab. Also, this game wasn't technically perfect, there were weird glitches of people staring off screen during conversations, or not getting up when they were supposed to be alive, or just disappearing altogether so cut scenes involved me and some invisible person. They were rare and odd, but they happened. The fighting for me, while really fun, felt a bit too hectic and a bit clunky. Anytime a grenade was thrown at me I prayed on my life that I could convince my guy to run away from it, because most the time he'd just run back and forth behind the same piece of cover the grenade was behind like he was chained to it. I'm supposed to be able to run away, but I felt like a super magnet always kept me there thanks to the auto-cover system. Also, when lots of baddies began swarming, running from cover to cover just didn't work that well. The guns and powers worked well though. If only I could stand where I wanted to stand. This game isn't just a game. It is a real thriving universe. There are cultures and histories to the people within. There are political problems and wars that have been going on for thousands of years and you have to get involved in all of it. It is massive, it is fun. I can't state enough about how amazed I was the far reaching effects of my actions throughout the series. The characters that I had grown close to... I watched as many of them perished to help save the galaxy and I couldn't save them... or I could. There was a moment, when I had neglected to complete a side mission before completing a vital mission, that I had to make a heartbreaking decision. Turns out this side mission was kinda crucial to gaining some trust of both sides of a conflict that would have allowed me to have a better outcome.... but I missed it and as a result I had to chose between saving the Geth, a sentient race of robots that had learned to think and feel of which I had friends (and would be a greater aid to me during the final showdown) or saving the race that created the Geth thousands of years earlier who then tried to kill them all, the Quarians. I didn't know at the moment the decision I was about to make would doom one side and not the other, a mutually exclusive moment. After making the decision, the Quarian fleet was utterly destroyed. A companion of mine since the first game then committed suicide after watching her entire race destroyed. I was shocked. It was kinda my fault and I knew it. The game went on. I could have destroyed the robot race. I could have made sure to have answered a certain distress call before moving on the game. I didn't though. And people died. It was final. It was an amazing moment in gaming for me. In the end though, when it came down to it, I reached the same thrilling conclusion everyone else did. The now infamous ending. I'd specifically avoided all spoilers to what went down to prevent myself from being jaded. I have a confession: I LOVED the ending. Ya see, the problem many people had was the ambiguity of the ending. Also, if you weren't fully prepared then killing the Reapers also pretty much meant killing all life on Earth and around the galaxy too... which isn't ideal. But walking into the ending with a fully prepared Galaxy ready to destroy the Reapers and you enter into a hell on Earth situation. After battling through endless hoards of Reaper forces on Earth (which they really do hit you hard with), you make one final run at the portal that will take you to the endgame. There is not final boss like there was in Mass Effect (Saren) or Mass Effect 2 (half-formed human-Reaper hybrid) but a final run... and you get hit by a Reaper blast. After getting hit by this blast, things get a little surreal. Everything after this moment becomes different. Things stop making sense. The world around you seems off somehow. I don't want to spoil it all, but when you get to this moment, look around. REALLY pay attention and look around. You'll notice some odd stuff. You'll have final conversations with old mind controlled enemies in strange places. Your Shepard will start acting funny. The game will try and deceive you. It is weird. Then you will have a final decision. Not a final boss, but a decision. 1 of 3 options to be accurate. 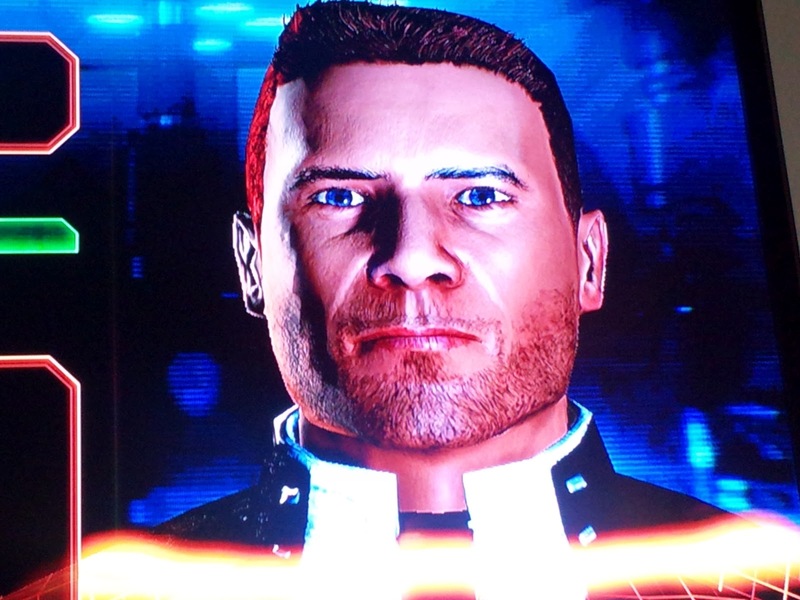 There aren't the normal Paragon Blue, Renegade Red options you get normally... but this is what Mass Effect is all about. Making tough ambiguous decisions. They all seem equally appealing. You've seen examples of how all 3 can be the both the right decision and the wrong decision throughout the series. It was perfect. I think the problem many had with it was that you don't get a chance to see the aftermath of your decision too much. Two of the endings seem pretty much the same with a color change being the only distinction, the other not much different either... though with a bit more death involved. The reality is though these endings all seem good on the surface, but there are deep implications associated with each one. The game doesn't telegraph them to you. It doesn't tell you that you made a mistake if you didn't choose the "ideal" outcome. It leaves it ambiguous and you actually gotta think about it before it makes sense. No matter what, Shepard "saves" the galaxy and his legacy is told for generations to come. Your definition of "saves" is what is important. Other than the cover system and a few glitches, I think this game was the perfect ending to a nearly perfect series of games.